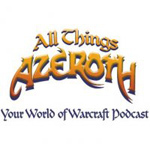 All Things Azeroth began in 2004 as the show Midweek Review on WoW Radio, where it lived for many months. Eventually it moved to a more content specific show and transformed into Know Your Role also on WoW Radio. Around the time of the first Blizzcon, the show moved over to a short stint on MMO Radio, before going on to launch as an independent podcast. The Know Your Role podcast was short lived, due to a variety of problems. In the time leading up to the launch of Burning Crusade, Medros, the host, was approached by some long time fans to relaunch the project under a new name, and new style. All Thing Azeroth had it’s first episode released in the hours leading up to the release of Burning Crusade, launching on January 15th, 2007. The first co-host was Lelia, a member of the guild Medros belonged to. Later co hosts would be Sardrissa, Alyviel, Graece, Shadesogrey, a writer for WoW Insider and Nananea. Currently the hosting team is Medros and Rho, with regular guest hosts. Three National Podcast Post Months, Six years, over 300 episode, and innumerable rough starts, this is All Things Azeroth, Your World of Warcraft Podcast. 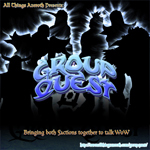 Group Quest is a round table podcast launched in June 2009 as a monthly show, with the first group members being Sinful Priest, Lou, Cadistra of WoW, Eh? and Kissless. The show had several bad starts, and failed to catch as a monthly show due to poor turn out. In December 2010, starting with episode 7, the show changed to a weekly show, with a large group gathering consisting of Skolnick of Warcraft Less Traveled, Hasteur, Fimlys of Twisted Nether Blogcast and Polygamerous, Mat McCurley of WoW Insider, Kerrsplat, Stormi, and Lou. With notable guests such as Mike Schramm of The Incredible Podcast, Greyseer of Lorecrafted, Gazimoff of Obscurecast, Roger from For The Lore, Brigwyn of the Hunting Lodge, Matt Rossi and Mat McCurley of WoW Insider, and more, Group Quest is developing as the premiere round table podcast in the Warcraft community, bringing some of the best voices from the Warcraft community together to talk about the biggest stories in the community. Currently hosted by Hasteir, Gulvan, and DeGei. 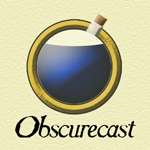 The Obscurecast is a bit of an experiment. Cobbled together by Gazimoff from Mana Obscura and Pewter from The ‘mental Shaman, along with some Skype and a bit of technical dohickery, The Obscurecast is a weekly creation that discusses World of Warcraft. We aim to provide an alternative and interesting viewpoint on the week’s gaming news, as well as a weekly topic and a roundup of the various in-game happenings. All this gets bundled up in our own blend of humour, wit and banter in order to produce a (usually) one hour long show. We also have the occasional guest to expand upon particular topics. Always random, often chaotic and sometimes even funny. 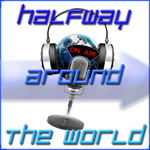 Halfway Around the World brings you a fun mix of pod-safe music, music news, and more. This is a weekly podcast that is done in “Seasons” of thirteen episodes each. The show has a tendency to evolve and change while it is on hiatus, giving each Season of Halfway Around the World its own flavor. Season One set out to answer some interesting questions. Can you be friends with someone you’ve never met in person? Can you produce a weekly Skype based music podcast? Hosts Jen (in San Luis Obispo, California, USA), and Colin (in Bath, Somerset, UK), believed the answer to both those questions was “yes”. With over 10 years of podcasting experience between them and having made frequent appearances on each others individual shows it only seemed a matter of time before they would collaborate on a more permanent basis. They originally ‘met’ when Colin became a regular commenter, contributor and listener to the Hyper Nonsense podcast that Jen was producing with her husband Shawn. He remained a listener until that show came to an end in 2009 and continued listening to all of the other podcasts that Shawn and Jen have produced since. In turn Jen and Shawn became the most regular listeners and commenters on Colin’s Ourobouros Podcast and remain so to this day. When Dawnforge Productions started, Jen was the obvious choice to produce the music show. Having worked on All Things Azeroth and having produced the Inside My Head music podcast for 3 years it was a no brainer. In search of a co-host she contacted Colin. He jumped at the chance to do a regular podcast with Jen and the rest, as they say, is history. Season Two set out to answer some new questions. Can the show work with just one host? How does one make the shows name “Halfway Around the World”, relevant without two hosts, who live “halfway around the world from each other”? After much consideration, Jen decided to take on this challenge. The solution was to have each episode feature bands and artists who all came from one, specific, country. This kept the “around the world” concept in the podcast. It also made Halfway Around the World a little bit like “Dawnforge Radio”. Season Three In the middle of season 2, Jen announced on the show that she was looking for a co-host for season 3. Nathan jumped at the chance and immediately left a comment that he was interested. When Jen laid out the guidelines for what she wanted in a new co-host and asked for email from anyone interested, Nathan sent in his email and by the end of October was contacted that he had been chosen for the spot. Jen and Nathan recorded a test podcast in November for National Podcast Post Month with the theme of “positive music”. Over the next month they started throwing out ideas for themes for season 3 and the concept of “opposites” came up. The first episode was recorded January 13th with the topic of Metal songs and non-Metal songs, but the theme for the season was still up in the air. By episode two, Nathan and Jen had brainstormed several opposite themes and decided that they would have enough material to adopt the theme for season 3. More Than Megapixels is a Photography podcast created by Dawnforge Productions. Each week the hosts meet up to discuss the latest news about new cameras, stories of photographers doing amazing things, copyrights, discuss the biggest ideas running through the photographic community, and answer listener questions both live and via email. More Than Megapixels is a podcast for all level of photographer, from the learning photographer working with their first camera, to the dedicated professional working hard and still trying to keep up to date on the latest news and discussion in the community. All Things Edible started off as nothing more than an idea for Xan of just being able to produce a podcast. Subjects for the podcast ranged from movies, to games, to specifically World of Warcraft and other topics. It eventually grew as Xan became more and more engrossed in the podcasting community and the World of Warcraft community where he met his Producer, Medros. After getting to know several people on the DawnForge staff it was only a matter of time before All Things Edible had life breathed into it by a suggestion from Jen from the Halfway Around the World podcast. Xan has always been a lover of food, cooking and trying new cuisine. Once the oportunity was presented to him to run with the idea it didn’t take him long to start looking for co-hosts. 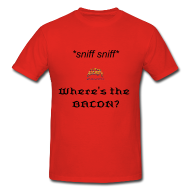 After discussing the idea with many people he had a crew assembled and All Things Edible officially launched July 2011. 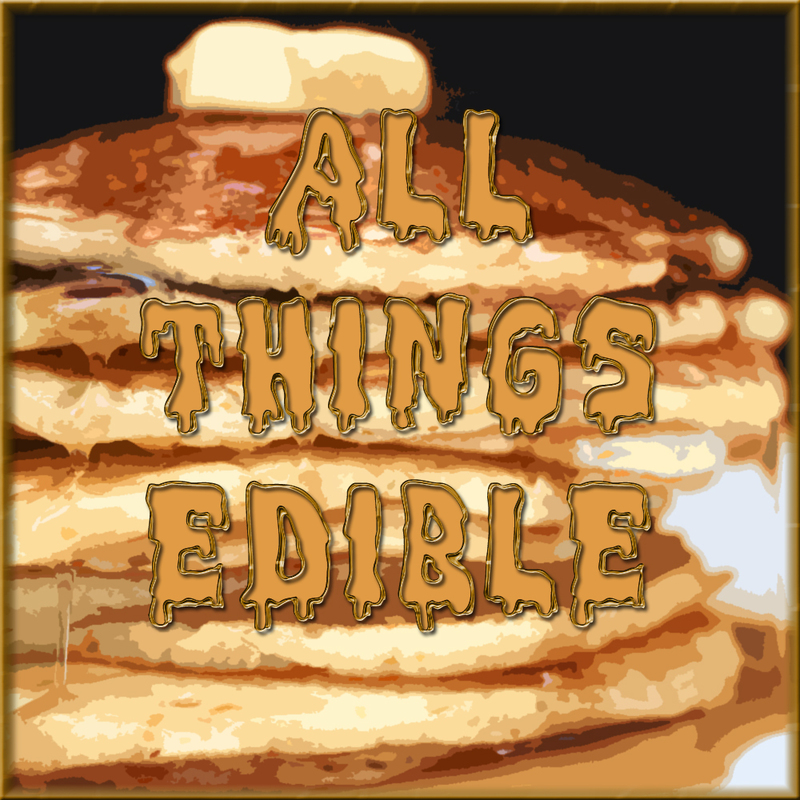 The All Things Edible podcast is a podcast that is supposed to make food interesting, fun and exciting. Hopefully bringing in the best chefs, home cooks and even novice or beginner cooks to the show. Helping them to be fearless in the kitchen and dive in with both feet to try something new. Using fresh ingredients when possible and shying away from the processed food the crew of All Things Edible take on mystery meals in the Mother Hubbard Challenge (MHC), tackle food news topics, answering listeners voicemails, emails and Twitters, and anything else food related. Come and join us on a food adventure to tease your pallet and tickle your taste buds! Shattered Soulstone is the new Diablo podcast from Dawnforge, hosted by Nevik, Breja, Jen and Lanntonio. 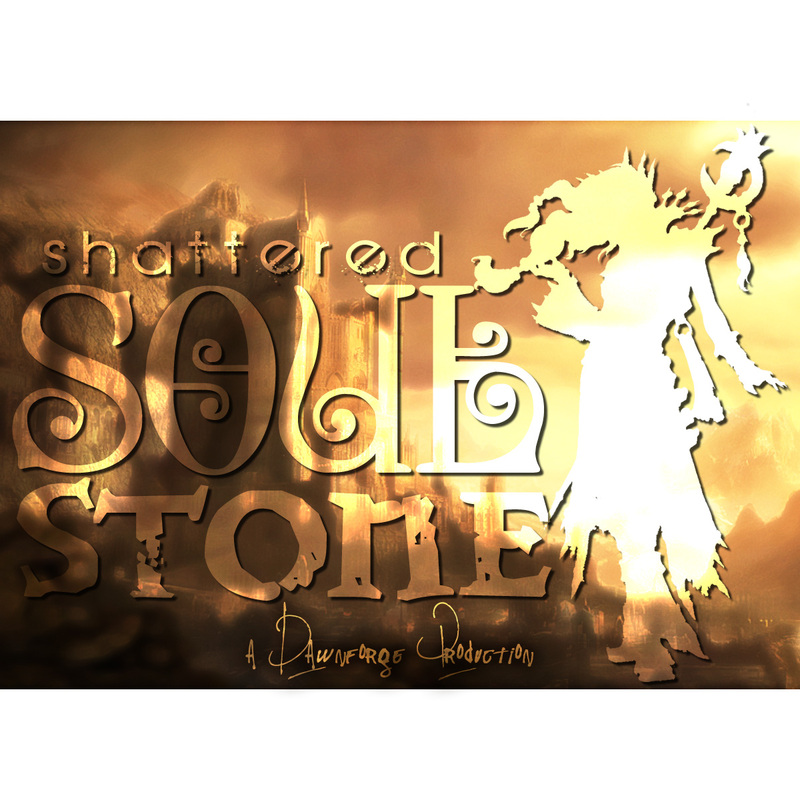 Covering the latest news from the broken world of Sanctuary, the development news behind the Diablo games, and the latest in Neil Diamond puns and audio clips, this is Shattered Soulstone, your Diablo Community Podcast. 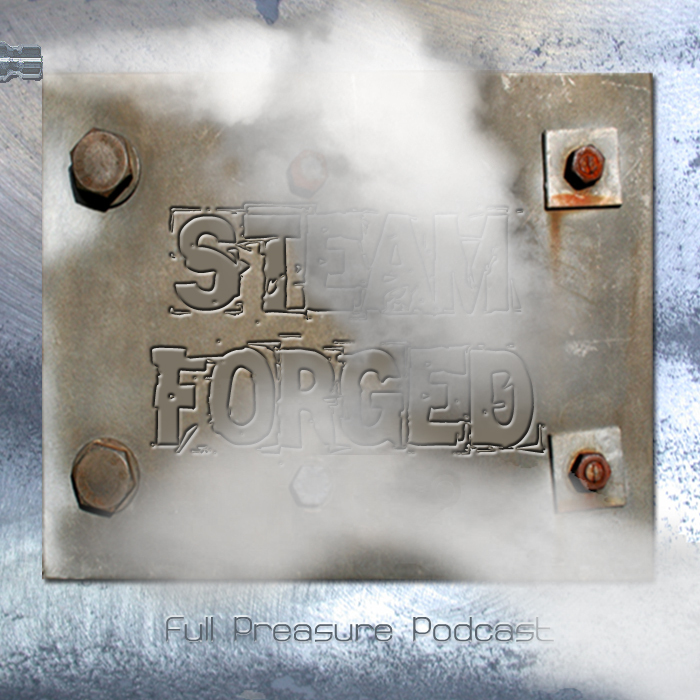 Steamforge Podcast is a newly launched podcast covering the Steam software platform. Hosted by Nananea, formerly of All Things Azeroth, Rilandune, from the Overlores and Heroically Random, and Damarai of the Obscurecast the crew will be joined on occasion by other fans of the Steam platform. Chronicles of the Old Republic is a former and short run podcast covering Star Wars: The Old Republic, the new MMO out from Bioware. Mike, Paul, and Kharendos will come together to discuss TOR and the adventures within the game.